SORRENTO, FL – Community members are advised that crews building Wekiva Parkway Section 6 are set to begin controlled burning of cleared material on Tuesday, November 28. This activity will continue for the next several weeks, including on weekends. The controlled burning will take place just east of Old McDonald Road on the south side of State Road (S.R.) 46. The confined, on-site burns are being conducted in coordination with the Florida Forest Service. The construction team working for the Florida Department of Transportation – District Five will perform the burn under a licensed subcontractor using the proper equipment to control the burn. Section 6 construction began October 17 on the 6 miles of largely elevated expressway along the S.R. 46 corridor from the S.R. 429 interchange east of Camp Challenge Road to just west of Longwood-Markham Road. The project includes a non-tolled, service road for local travel, a new, much higher bridge over the Wekiva River, and several wildlife bridges to allow animals to pass safely between the Seminole State Forest, Rock Springs Run State Reserve and Lower Wekiva River Preserve. A multi-use trail with scenic overlooks at the wildlife bridges will be included along the service road on this section. Work will include connector roads between remaining sections of County Road (C.R.) 46A and S.R. 46 to maintain private property access, as well as drainage, lighting at bridges over cross streets, utilities and other roadway features. Maps and other project information can be found at www.wekivaparkway.com. Follow the project on Facebook and Twitter for real-time updates. The $1.6 billion Wekiva Parkway will complete the beltway around Central Florida. The Florida Department of Transportation and the Central Florida Expressway Authority are working jointly to build the planned 25-mile toll road. The parkway will provide travel alternatives, and relieve U.S. 441, S.R. 46 and other area roads of traffic congestion. 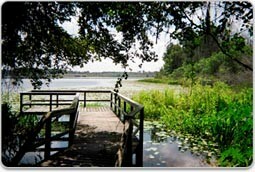 Environmentalists refer to the Wekiva Parkway as a good example of transportation planning through environmentally sensitive areas. 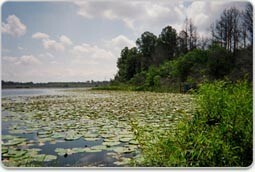 Authorized by the 2004 Wekiva Parkway & Protection Act, parkway development has included conserving more than 3,400 acres of land. The parkway will include wildlife bridges, and will be largely elevated to reduce accidents between vehicles and wildlife.